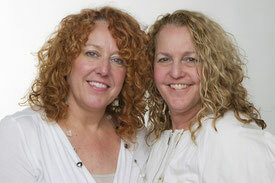 Sisters, Shauna Patton and Pamela Bowman, have conducted estate sales in Hill and surrounding counties for over twenty years. Their business, Those Three Sisters Estate Sale Services LLC, is family owned and operated. Shauna and Pamela do the cleaning, arranging and pricing within the homes, but the men in the family help with the items in the barns, garages, workshops, etc......all the 'guys' stuff. The large team for sale days is comprised of family members and close friends. Their estate sales are always a huge success because they are focused on making each sale an enjoyable experience for their customers and they do the work for each estate as though they were conducting the sale for a family member. Pamela and her husband of forty-eight years, David, have owned The Original Hillsboro Antique Mall www.TheHillsboroAntiqueMall.com at 114 South Waco Street in historic downtown Hillsboro for over thirty years. Pamela also owns and manages SALON 110 and SALON 110 The Annex www.Salon110.com in Hillsboro. She home-schooled each of their three sons for the first twelve years of their education and has worked as a substitute teacher in the Hillsboro School District. She and David now have three sons, three daughters-in-law, two granddaughters and four grandsons. Although their boys grew up on a farm just outside the Hillsboro city limits, David and Pamela now live in a loft above their downtown businesses. In addition to co-owning Those Three Sisters, Shauna has a space within The Original Hillsboro Antique Mall and manages the antique mall when Pamela and David are away. Shauna also home-schooled her son and daughter through their first twelve years of education and has worked as a substitute teacher in the Hillsboro School District. She and her husband of thirty-six years, John, now have a son, daughter-in-law, daughter, son-in-law, granddaughter and grandson. Shauna and John have their home in Hillsboro.